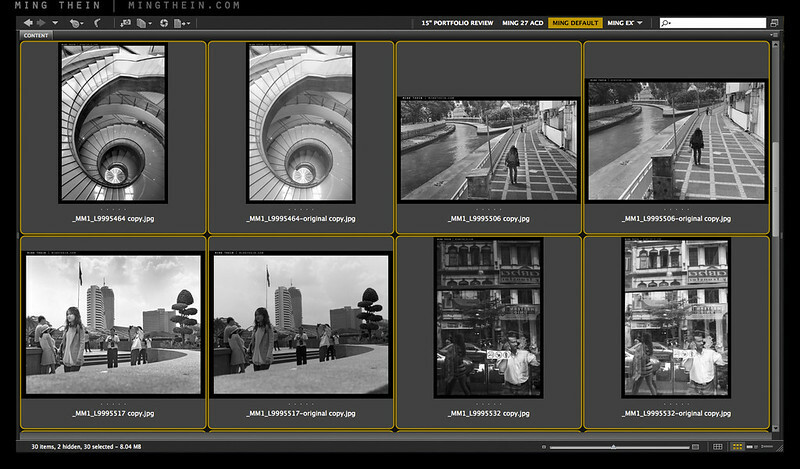 New: Photoshop Workflow DVD for the Leica M Monochrom! As the first batch of Leica M Monochroms begin to be delivered to their owners, I’ve received a surprisingly large number of questions and requests for info or a DVD on how to handle the Monochrom files. More than enough to justify producing one. The DVD is in a similar format to the previous general Photoshop Workflow for Photographers but with 15 specific examples that consist of M-Monochrom files shot under various conditions, of various subjects. 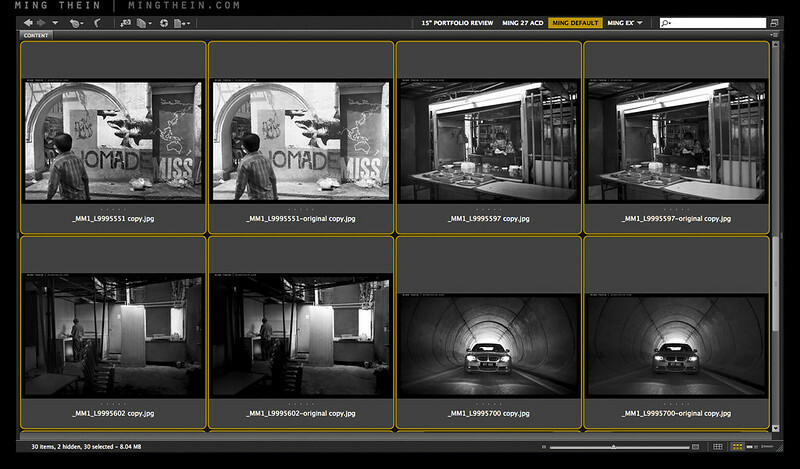 The video takes you through my modified B&W workflow specifically for the Leica M-Monochrom, and is designed to be a useful starting place for photographers wanting to get that ‘pop’ out of their files. It’s 2h10min long, in low-compression Quicktime format at the native 1440x900px resolution of my screen to capture all of the subtle nuances. Building on feedback from the previous DVD, I’ve now got a before and after preview of the files processed as examples below, as well as further improved audio quality. I also address superscaling/ upsizing for making very large prints. Feb 2013 Update: The Photoshop Workflow Video for the Leica M Monochrom is US$65 via paypal and digital delivery – please include the product you’re ordering and the email address you’d like the download link delivered to. « August 2012 Competition: Compact Challenge Results! Sorry about that. The first email bounced. It’s 4am here, but resent it manually five minutes ago. Hi, Ming. I already own PS DVD 1 and I’m going to get an M. Is this one worth for M? Thanks. Ps. : we human are never satisfied – you now (for a while) make available digital download and that’s goos but… since the file is really huge (and internet is not that good here and elsewhere as well) do you think to use an download manager in the future so we can resume troubled download? Sorry, I’m not sure I understand your first question. Download managers overload our servers and make it impossible to provide adequate bandwidth for everybody, so unfortunately that cannot change. The files are huge because of the video quality. I saw above that you recommend PS DVD 1 for general B&W conversion (the one I’ve got yet). Since I’m going to get an M (not MM) and believe (from what i’ve seen here and elsewhere) files from M are closer to MM them other cameras, i wonder if this workflow adds to PS DVD 1. Hi, Ming. I bought E4 & E5 and downloaded E4-p2 yet, but exceed download tries of E4-p1 (the las attempt stop around 800Mb at 13Kb speed). Could you help me? Sure. W’ll reset your download counter. Thanks. Already trying again (at 16kb for now – don’t know if this make sense in english as in portuguese: I’m crossing my fingers). Hi Ming! I think I have asked you this before? Will this tutorial work with Adobe Lightroom 5.2? The theory is sound, and the sliders are mostly the same, but there are some things you simply cannot do like achieve full control over dodging and burning, or use multiple curves. But I can do some dodging and burning with a brush in LR 5… Will it help? Is this available for download now? Somewhat, but you don’t really have control over which tones are affected, nor is the effect sequential – it’s cumulative. 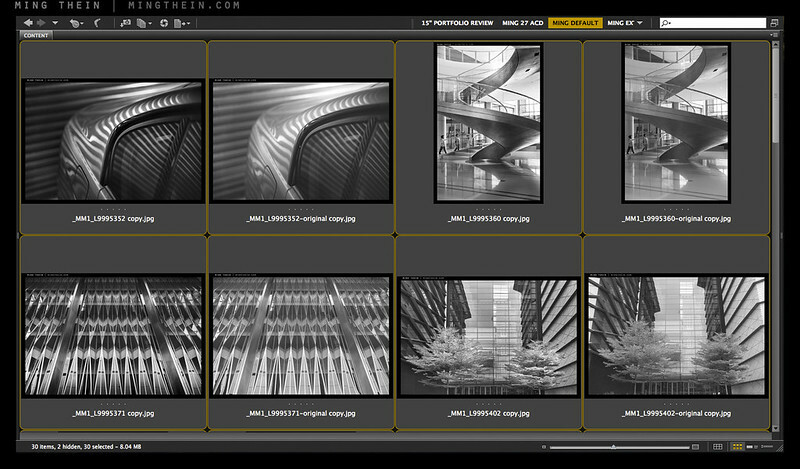 There are some tonal manipulations that require curves first, then dodge and burn, then curves again for instance. Thank you! Will try to obtain PS 5 or PS 6 first. I have the LMM and I have been amazed by the images one can capture. Given the new pricing policy for PS might you provide information as to which version of PS will work “best” with the DVD? My thoughts would lean toward buying that version without the need to buy an entire PS subscription. I cannot locate your previous email containing such information. Although the images with the LMM cannot equal those taken with the 8×10 film camera and contact printed (as we previously discussed) the images thus far-when printed using a Light Jet analog printer onto Ilford Galllerie-have been remarkable. No doubt such images can be improved with skillful PS implementation. We’ve had enough tools since CS3, to be honest. I only upgrade because I want to have native raw support in bridge to be able to view my files without having to go via the DNG converter first. The videos were created in CS5.5. Being very naive with the digital workflow makes me ask if I can use LR5 to open the RAW files and then work with such files in an the earlier edition of PS that you allude to. Definitely possible, but clunky as you have to go through another piece of software. Sorry, not for the moment – the file is huge. I am working on a digital delivery solution but it’s not going to be available for another couple of weeks either. Ming I would like to ask you a question. I love B&W street photography but I have not yet own a Leica. I do my work with a Nikon D700 body plus Nikon 28/1.8G, 50/1.4G & 85/1.8G. I like so much the look of your images. 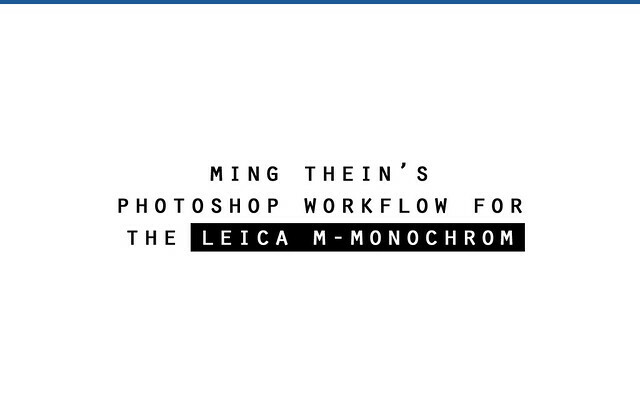 Ming should I order the “Photoshop Workflow DVD for the Leica M Monochrom” or the “Photoshop Workflow DVD”? Thanks Dimitris – what you need is the regular Photoshop Workflow DVD. Thanks for your response Ming. I will now place the order for the “Photoshop Workflow DVD”. I’ll let you know my impressions as soon as I receive the DVD! Thanks for your support, Dimitris! Hi Ming, do you mind to write about dodging and burning techniques, thanks. I started an article but realized that it’s something that has to be demonstrated, not written about – my Photoshop Workflow DVD is best for that…I believe you have a copy, yes? 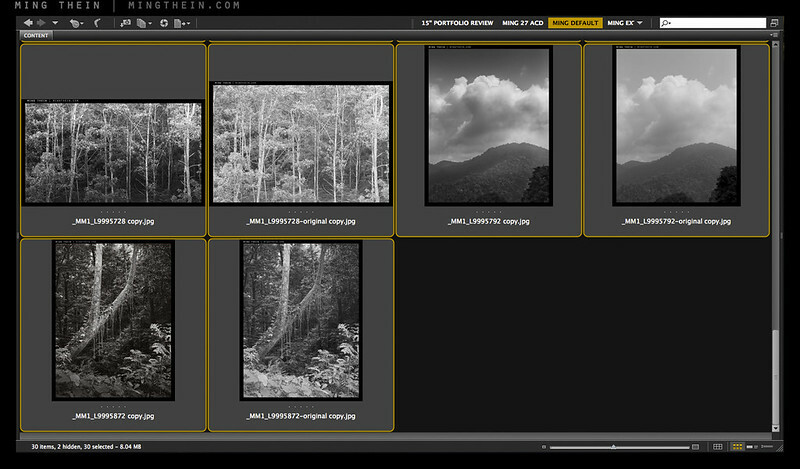 I’m potentially interested, but I use Lightroom for processing, not Photoshop. Would any of the DVD content be relevant given that? Yes, Camera Raw is the same in LR, elements and PS. There are some things you can duplicate in LR, but not all, and the tools may be in different places. Hi Ming, I have really enjoyed reading your blog, keep up the good work! I am an amateur learning photography by shooting and self developing B+W film and then scanning the resulting negative. I have been looking for a good workflow for digital post processing. Would this DVD be suitable? I am also interested in your first DVD, do you offer combined shipping fees? Many thanks. Hi Richard, this DVD does not cover the conversion process or density adjustments for scanning etc – it’s aimed at people doing raw capture. You will find some of it useful, but it won’t cover all of your workflow – that goes for both of them, actually. If you order both it’s $110 instead of $125. Great idea. Just ordered my copy. Thanks for such a timely offering. Hi Ming, this is great! I have two questions. 1) Is this DVD also good for people who don’t have Leica MM but intend to learn how to process B&W images? 2) Do you plan to sell this DVD with the previous photoshop workflow DVD as a combo at discounted price? 1. Not really because it doesn’t cover the actual conversion process because the MM files are already B&W out of the camera. The first DVD is better for that.